I present the Evergrow Nova S2.. This light packs 90 Watts of leds into one mean refugium light. This light has only been on my tank for 7 days and the cheato has tripled in size… Needless to say. I’m impressed. 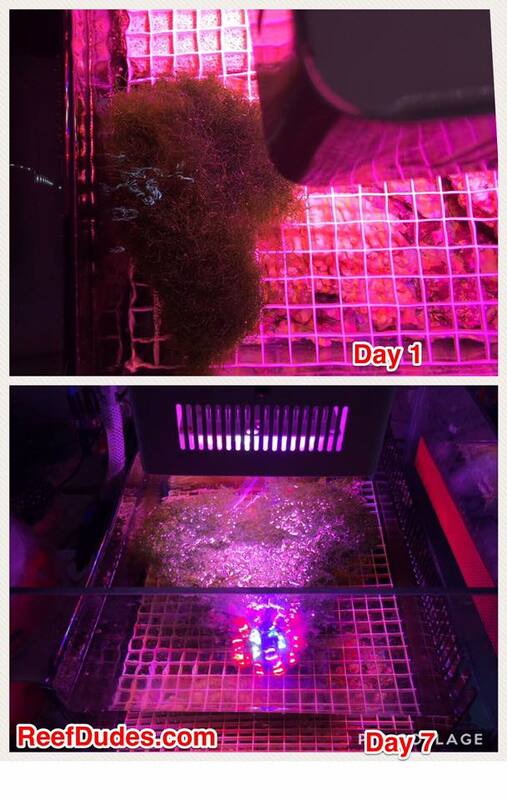 I previously looked at the Kessil horticulture led.. but at 3x the price of the evergrow its hard to bite. I haven’t done a side by side comparison but I imagine the results of the two would be quite similar. Now you could light a fuge with the standard $6 curly CFL bulb however the part out put isnt even in the same ball park… I bet it would take at-least a month to get what the evergrow did in a week.